We perform this ceremony to promote the universal consciousness of Life, which acknowledges that all peoples and all faiths, all sentient beings, come from the One Great Universal Presence, which we call Spirit. Fundamental to this truth is the unifying nature of all religious thought and experience, which we honor here today. 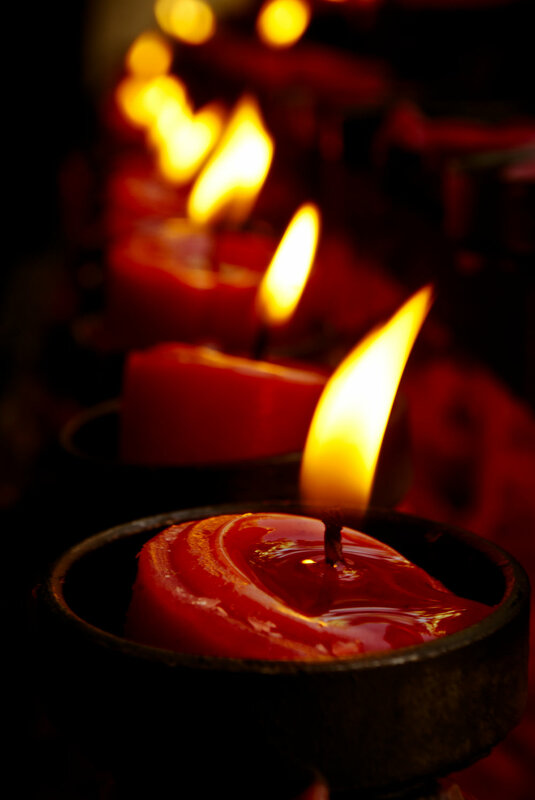 We light a candle for the Tao, honoring the universal path of harmony and equilibrium, The Natural Way. We light a candle for the Shamanic Traditions, honoring the beliefs and practices of all indigenous peoples, the way of Primal Spirituality. We light a candle for Hinduism, honoring the path of knowledge, action, and devotion. We light a candle for Judaism, honoring the ethical path of living by sacred Law. We light a candle for all forms of Buddhism, honoring the Four Noble Truths and the path of compassion. We light a candle for all forms of Christianity, honoring the Christ Consciousness as the path of love. We light a candle for all forms of Islam, honoring the path of submission to the will of God as the highest calling..
We light a candle for the universalistic religion of Bahai'l, honoring the path of unity and peace. We light a candle for all forms of New Thought, honoring the metaphysical path of mental healing through the practice of universal spiritual principles. We light a candle for all those who are as yet unaware of the power and presence of Spirit in their lives and for the space that we are holding for them at this Center and for all religions unnamed in this ceremony.